Love being outside in Maine’s outdoors and want to make your opinion heard? Participate in the Maine SCORP Survey and share how you enjoy Maine’s outdoors and what really matters to you. The Maine Bureau of Parks and Lands, along with a steering committee comprised of members from other state agencies and non-state partners, is working to update the Maine SCORP plan. The updated plan will serve as a guiding document for outdoor recreation efforts in Maine for the next five years. The planning effort includes several components, including but not limited to public survey efforts and data analysis developed to better define supply and demand associated with outdoor recreation across Maine. Public engagement is vital to the planning effort. This page will be updated as drafts become available. At any time, the public is encouraged to share their ideas, pose questions, and give their perspective on the outdoor recreation needs and priorities here in Maine. For more information or to share your thoughts, please contact: Rex Turner. The 2014-2019 Maine SCORP serves as the active plan guiding expenditures from the federal Land and Water Conservation Fund. It also functions as a vision for outdoor recreation priorities across the state. 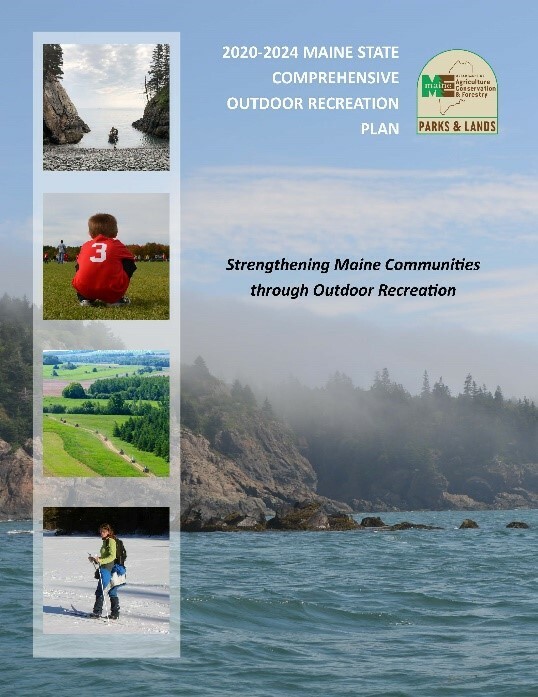 The Maine State Comprehensive Outdoor Recreation Plan (SCORP) process and ultimately the final approved plan qualify Maine to receive federal Land and Water Conservation Funds. Additionally, the Maine SCORP satisfies state legislative requirements and helps guide Bureau decision making. Maine's SCORP identifies the demand for and supply of outdoor recreation areas and facilities based on available information, and discusses outdoor recreation issues of statewide importance based on public input. The plan's Implementation Program suggests broad priorities for expenditure of LWCF dollars in Maine. Additionally, it serves as source material assisting those looking to better understand outdoor recreation needs in Maine and how to align projects with those needs.